Brush vegetables with olive oil and grill. 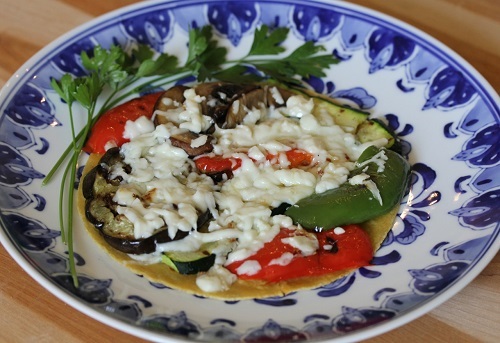 Place tortilla on ovenproof plate, top with grilled veggies and crumbled cheese. Place in 350 degree oven for five minutes or until cheese melts.